Wisdom teeth commonly appear in the late teens and early twenties. Most people usually have between one and four wisdom teeth. Some wisdom teeth erupt without trouble while others suffer from serious complications that require dental extractions. If a wisdom tooth is unable to erupt properly, it is referred to as impacted. An impacted tooth may erupt partially, may erupt sideways or may not erupt at all. An impacted wisdom tooth can result in serious dental health complications, damage the adjacent tooth, decay or increase the risk of gum disease. Symptoms may not appear right away, but dentists often advise the removal of these impacted teeth to prevent complications that can include pain, swelling, chronic bad breath, infection and abscess. Wisdom teeth may also need to be removed if they appear likely to crowd other teeth or cause misalignments. Because misaligned teeth can be difficult to clean, they are more likely to decay, and gums are at an increased risk of periodontal disease. Teens and young adults are often the best candidates for wisdom tooth removal since the roots are not fully developed and the jawbone is less dense. Older adults who are already suffering complications, whose jawbones are denser or whose roots are well developed may experience a longer recovery period or may require a more complicated procedure. If your wisdom teeth are erupting or causing symptoms, a full evaluation can help you determine your best course of action. 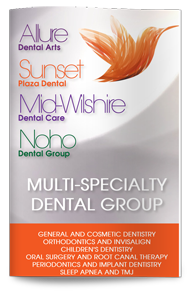 Contact West Hollywood dentist, Poneh Ghasri DDS, today to schedule your appointment.